Just the most terrific talk on the progress of George Orwell’s political thinking throughout his life by Author and Professor Robert Colls. On 1984: ‘IngSoc is English Socialism without the law, language, privacy & individualism’. 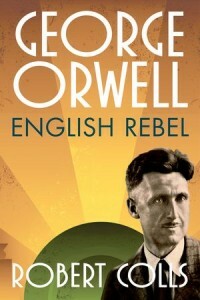 Orwell was a contrarian: and to give form to the point, Robert said the current Left’s problem was wanting to re-create an England that’s no longer allowed by the EU – and didn’t the audience bite! The event was part of Bread & Roses produced by Five Leaves Bookshop. Possibly the best talk of its kind I’ve ever been to. This entry was posted in Political Values and tagged George Orwell, Robert Colls. Bookmark the permalink.